Hospital-acquired infections are a major problem for the health care system and are the subject of increased surveillance. In Quebec, the Ministry of Health and Social Services indicates that in health care institutions 10% of persons admitted will contract this type of infection during the care or treatment received. Several studies have demonstrated that setting up prevention programs would reduce the number of new cases by one third. To do this, clinical nurses specializing in infection prevention and control play a critical role. What is the role of this specialist nurse? A clinical nurse specializing in infection prevention and control (IPC) is generally a member of an IPC team that she trains with at least one microbiologist and infectious disease specialist physician. She has many tasks. She must, for example, identify the factors that affect the onset of infection in the patient, establish a prevention program and oversee its application and adjustment, if needed. She also has to do epidemiological investigations, decide on the means of protection to be taken in case of an outbreak of infectious diseases, and advise the institution’s managers and professionals. 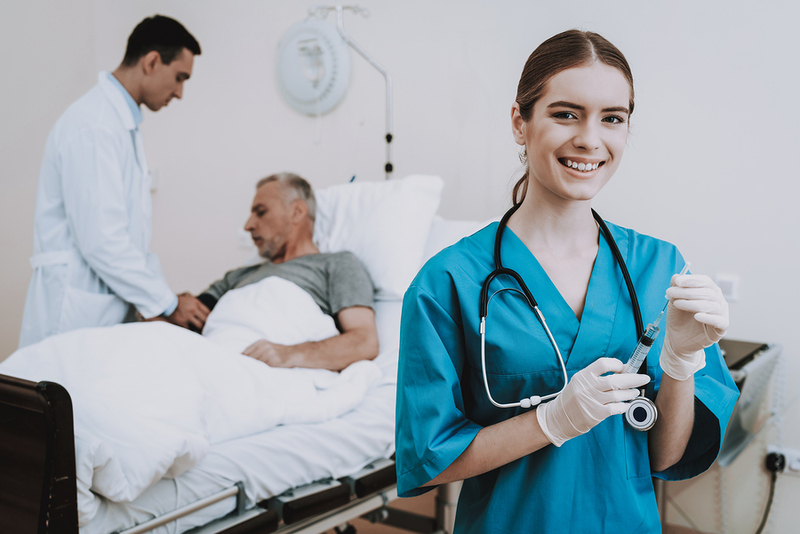 To do this, the nurse must have knowledge in multiple specialities, such as infection prevention and control, infectious diseases, microbiology, epidemiology, sterilization, sanitary maintenance, workplace health and safety and public health. Since 2011, it is now necessary to obtain a specialist certificate, because this profession requires specific knowledge and skills and involves responsibilities that go beyond those required in the context of general practice of a staff nurse, explains the Ordre des infirmières et infirmiers du Québec (OIIQ). The certificate is issued by the professional order and is issued after the candidate passes the speciality examination. It is obtained after having validated either a DESS in infection prevention and control from the Université de Montréal, or a postgraduate degree in infection prevention and control from the Université de Sherbrooke, or an equivalent. Since 2005, Quebec’s Ministry of Health and Social Services has put in place several action plans to support the prevention and control of hospital-acquired infections and makes recommendations on the ratios of specialist nurses to be attained and maintained in the services. In a report published in 2017, the Ministry indicated that “the shortage of infection prevention nurses appears to have been largely filled”, but that “frequent replacement of these positions is observed”.